Bill calls our attention to National Geographic’s recent article of the earliest image of John, recently unearthed in a Roman catacomb. If you’re not careful, it’s like looking in a mirror. As I get older I notice a tendency to imagine whichever author I’m reading as resembling me – a gray-haired male of ample years. The brow is furrowed; the chin set fixedly. So this portrait is a wake-up call. 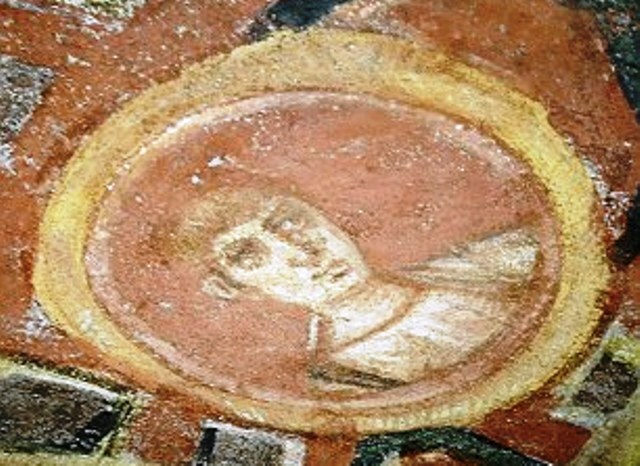 To be sure, the roundel in the catacomb does not identify the figure as John, but the resident Byzantinist, my wife Callie, assures me that it is consistent with the later iconography of the evangelist. What we learn from the new image is that the iconography was already established in the fourth century of our era — not a big surprise, and surely no evidence that this is what the historic John looked like. So in a certain sense the discovery doesn’t add much. But it does help focus the mind on the reception of John’s text. From our reading of the gospel I would have expected a crotchety old guy with a dogmatic glare, a my-way-or-the-highway cut to his jib, an anti-Semitic scowl on his vindictive face. Instead we see a young guy, an ingénue, fresh, maybe naïve. Is that what fourth-century readers found in the gospel? For whatever reason, they saw a man without the beard that was standard among adult males in antiquity. 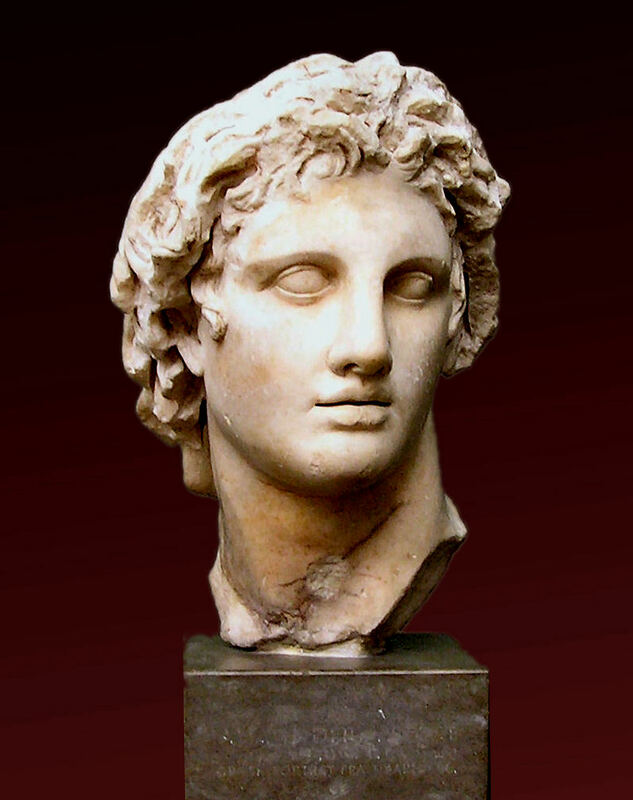 Of course, Alexander the Great had himself depicted beardless. Apparently, on campaign in wild Bactria or the waterless Gedrosian desert, he went through the daily routine of submitting to an iron razor. There was a method to his madness. Alexander wanted to look like a child prodigy, the military Wunderkind who saw what older and ostensibly wiser heads missed. They would plod systematically forward, step by step, with careful attention to their supply train. Alexander dashed ahead, seized the enemy’s grain depots, outflanked their armies, took them by surprise. They were up against somebody who rode roughshod over military regulations and strategic know-how. One glance at his beardless face sent the message. The whiz-kid image helped. It was worth a few nicks and scratches. 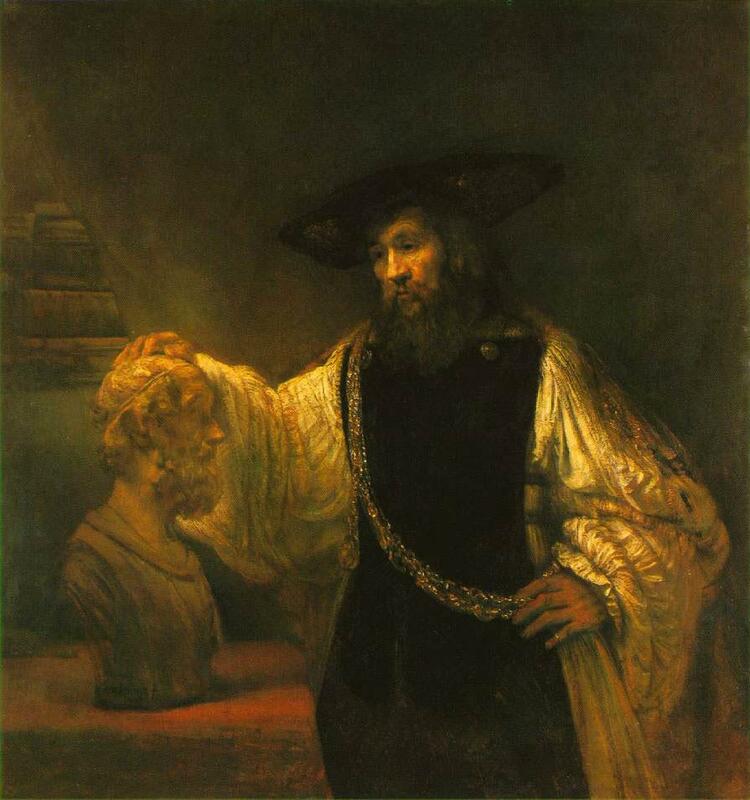 Others, particularly the kings and commanders who followed or tried to imitate Alexander, adopted the same style. That let the counter-culture types, the philosophers, grow their beards thick and long. 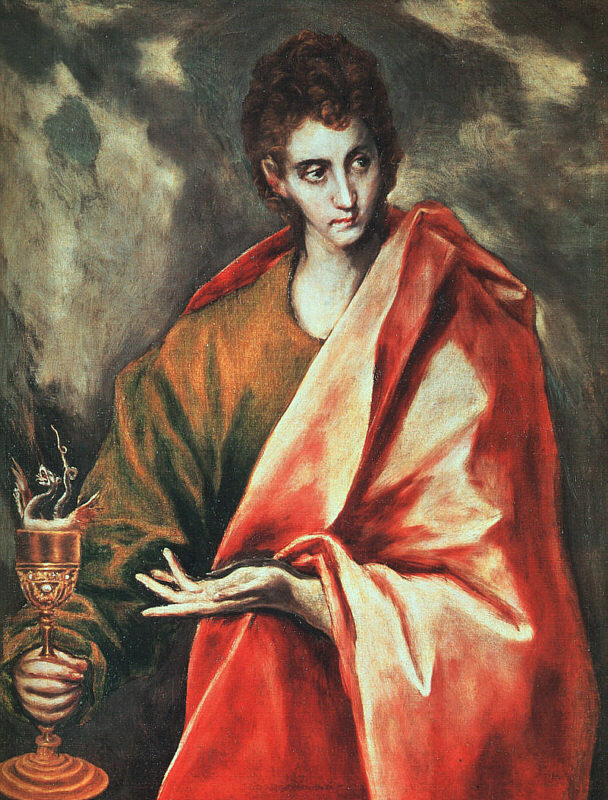 John was no Alexander, nor were the portrait artists of late antiquity trying to make him out to be a world-shaker. Their message was quite different. When in art we meet the other disciples in early Christian art, they are mostly well-bearded: Thomas somewhat wispily, most of the others with full bush. They are not philosopher types but hard-working men you might meet on a farm or fishing boat. John stands out among them as a junior partner in their new enterprise. In Greek terms he’d be a neaniskos, one of those “teenagers,” we’d say, whom we encountered in Mark, asking hard questions, hanging out in Gethsemane late at night, getting into trouble, caught with their sindon unwinding. Bearded Mark keeps his eye on them. John doesn’t mention them, nor, I think, does he use the word. But the artists want us to see him as one of them. In the disciples’ circle beardless John was not entirely alone. Jesus was also originally pictured as beardless. It took a long while for Jesus to grow the beard we take for granted. At first he was a clean-shaven model of incarnated light and beauty — like the pagan god Apollo, but no Olympian. Jesus had been here among us. So here they are, this beardless pair, intimately connected in John’s gospel. John says not a word about an invitation from Jesus to follow him, nor about where he was when the arrest and condemnation took place. But his gospel lets us glimpse “the disciple Jesus loved” when they recline at the Passover meal. Jesus could have kept his couch to himself, or shared it with Peter, on whom so much would depend, or with a disciple with some seniority. He calls John instead, and they recline close to one another so that John can whisper, “Which one, Master?” and Jesus whispers back “The one to whom I hand this bread.” Picture that not as an exchange with an eccentric older man, but with a young follower, in over his head, as violence is about to break out. John never forgot that moment of closeness. Up to this point he has observed what seems the rule of the gospel genre, not to intrude oneself into the narrative. Now he uses the third person and a formula made up for the occasion, ”the disciple Jesus loved,” to break out of those confines and say what most mattered to him. 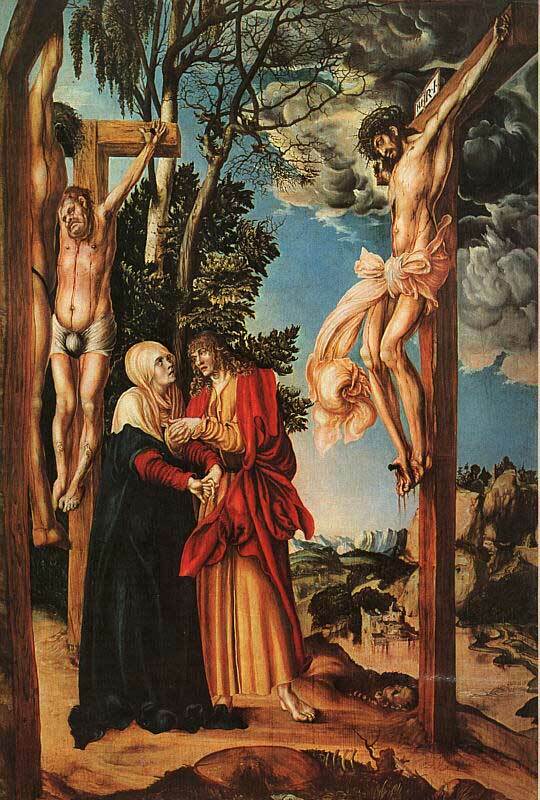 John is favored once again when, on the cross, Jesus knows he must make some provision for his mother. The obvious thing to do is to call on a reliable adult among his disciples who can provide a home and protection. like Peter or the financially adroit Matthew. 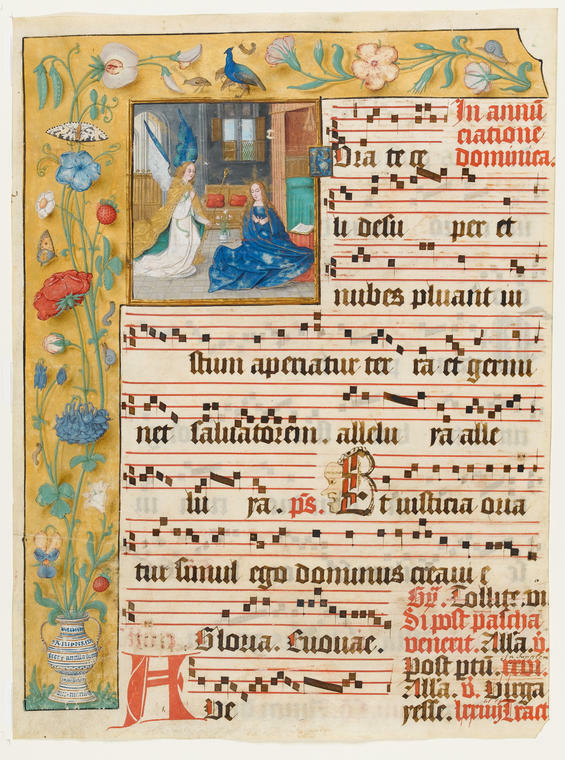 Instead he turns to John,saying not “Please take care of Mary” but “Son, behold your mother,” and to Mary, “Mother, behold your son.” See it, the artist hints, not as the old taking care of one another, but as a neaniskos finding home at last with the mother he still needs. Read this way — as the experience of a young man, perhaps recollected long afterward — the text appears in a new light. This is not the narrative of a disciplined, step-by-step writer, the middle-aged or old guy long in beard and balanced in judgment, someone who wanted to report the exact words of Jesus, add a few details or correct a predecessor. It’s not someone weighing the implications of each phrase. It comes all in a rush, as an eagle swoops. The voice, whenever and however it was set down on papyrus, comes through strongly individualized, full of hurt and love and passion. It’s groping for language not to “get it right for a change,” but to tell what this experience was like for him: as if he were saying, “This man was for me the way, the truth, the light, the true shepherd. I can’t imagine anyone coming to that light by any means except through Him.” Do I hear the echo of an adolescent voice breaking in pain and anger at what they, the people he used to belong to, but will no longer be part of, did to Him? I have my own questions about what’s being represented on that ceiling of St. Thecla’s catacomb. Four portrait roundels arranged around the Good Shepherd — probably not the four evangelists. 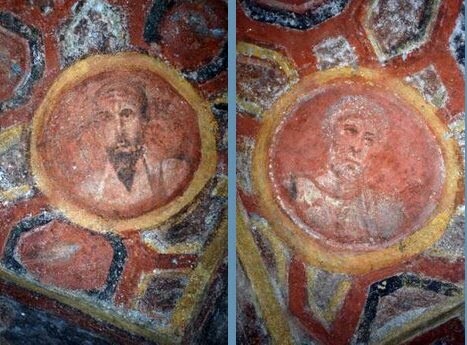 Expert iconographers have identified in those four portraits the four principes among the apostles: two bearded (Peter, dux et pastor— this is Rome, after all — and Paul, apostle par excellence), and two clean-shaven (Andrew and John the son of Zebedee). In John’s portrait, there’s no hint of his literary legacy — no scroll, no eagle, swooping or otherwise. Here he apparently represents only an honored position, shared with his partner Andrew, as the first of the disciples to be chosen — according to John’s gospel (assuming, as most do, that the unnamed disciple in John 1:35-40 is John). At the same time, we need to note that the resurrection of Lazarus is represented elsewhere in the tomb; so that story was known here, probably through John’s gospel (unless the story had in that era an independent, free-floating existence). So the Fourth Gospel is very much in evidence in the tomb. Whether or not people generally identified the son of Zebedee with the evangelist John the Elder, we’ll probably never know. Looking, however, at the context of the quadruple portraiture on the ceiling, I’m inclined to think that this John is being celebrated not as evangelist, but as apostle. Beardlessness for both Jesus and John was not unexpected in this period. What surprised the archaeologists was the portrayal of Andrew as clean-shaven, instead of old and grey of beard, as he was usually shown. 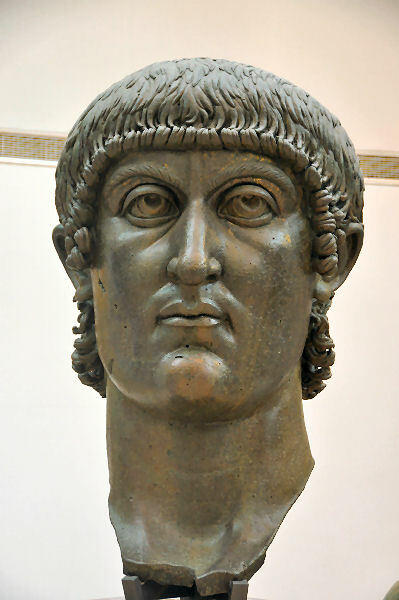 Actually, beardlessness was very much the fashion for those times, with Constantine himself probably setting the trend that continued well into the next century. I remember noticing back in October that most of the male figures on the fifth-century doors of Santa Sabina in Rome were clean-shaven. 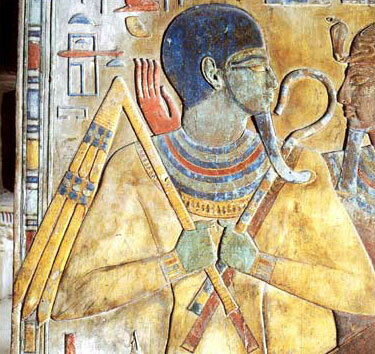 Bob, I’m pleased and surprised to find you so edified by what I at first took to be only a standard-quality tomb painting from an era not particularly noted for the fineness and sensitivity of its graphic art. Your meditation — a beautiful one indeed — seems very much an expression of your personal intuitions and beliefs, and I want to make every effort to avoid disturbing that vision. Your intuition, as you contemplate the portrait and the scroll, tells you that the scroll is, after all, and despite all our contentions to the contrary, a unified work of the Beloved Disciple. My intuition, as I count the warts and furrows on both, tells me something very different. But I certainly can’t claim to have conclusive proof of anything. All I can do is offer what I have, and see if it’s worth noticing. Yes, Bob’s is a beautiful meditation, but I remain unmoved by his portrait of John the hero-worshiping teenager. What matters to me is the text before us and its baleful impact on Christianity — how it transforms Jesus from an exemplar of suffering humanity into a triumphalist, know-it-all dogmatist who never truly suffers anything because he knows that his humanity is a moment’s masquerade. Instead of embodying redemption through suffering, he offers redemption only to those who subscribe to the “right” dogma about himself. Whether this Jesus is the product of a dewy-eyed youth, of a grumpy old man, or of the latter reminiscing about being the former, the effect is the same. What Has Athens (or Wallace Stevens) To Do With Jerusalem? It’s interesting to me what John does not say. He does not have the Ascension, or the Holy Spirit already active even before the Pentecost tongues of fire. Nor the mass sightings of Elvis. Chapter 21 ends with a squabble. So, if we feel that on philological grounds we must stop at the end of 20, and excise 21, we need to ask why someone would add this material, and why did the canon formers accept it? The bit about John’s mortality is transparent. People expected an imminent return and weren’t getting it. But they also wanted “something more,” just like we do. The appearances weren’t quite enough. There was another story that needed to be told — breakfast on the shore. 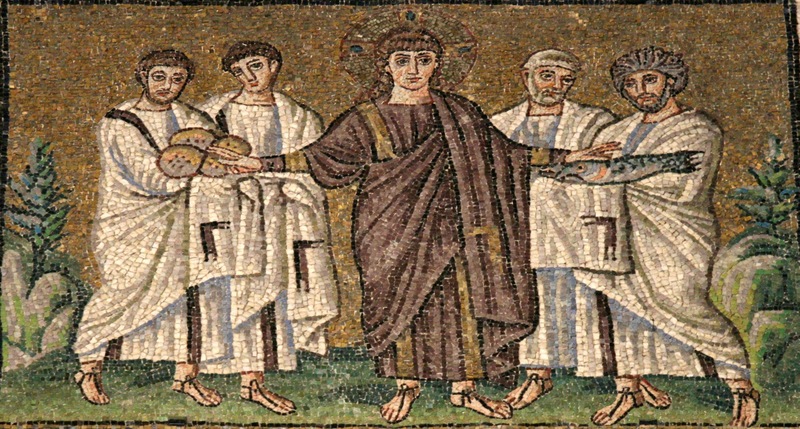 Jesus takes bread (λαμβάνει 20.13, again) and, no, not wine, but fish. In some manuscripts he then gives thanks, and then gives the food to the disciples. 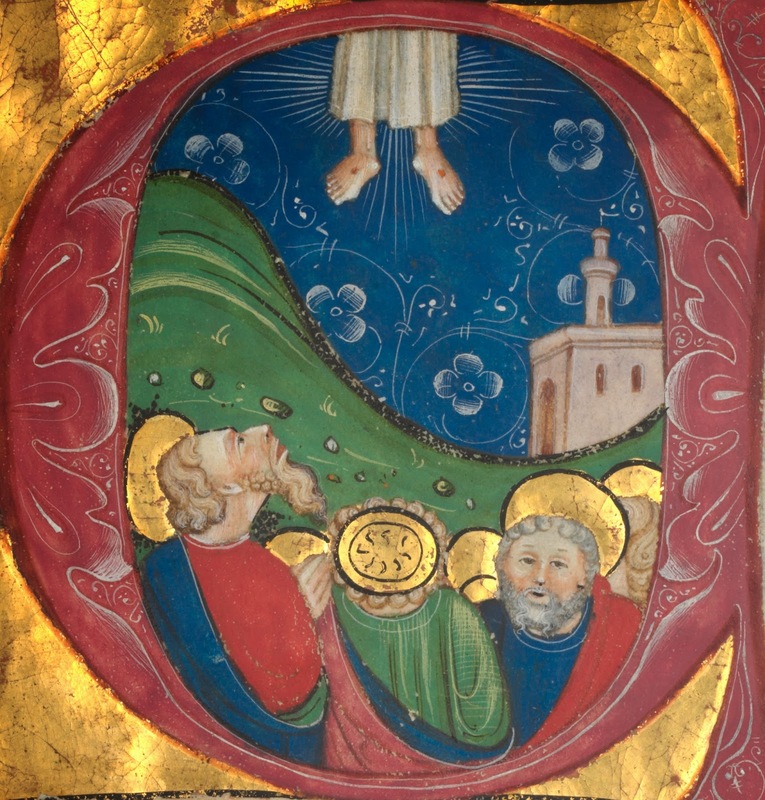 Another proto-Eucharist. I’d be happy to stop there, with the theme of feeding /drinking recurring once more in the gospel. I think whoever added that bit of lore was right. We need to think of Jesus not (only) as a preacher, thaumaturge, ethicist, Messiah, nice guy, kind to children, but as someone who feeds us when everything else we have is not enough. “Feed my sheep.” I’m one of them. I don’t need to thrust my hands into a wound, or see Elvis, or worry when Jesus will come again in glory etc. I need feeding and don’t know where else to turn for it. There’s so much here that’s new to me — first Rick’s concept of redemption, now Bob’s notion that we need to be fed, that we’re somehow incapable of getting off our knees and feeding ourselves, or that we need to have an emptiness filled by some agency outside ourselves. On a simplistic level, it sounds like you’re both simply on a quest for happiness. For some, happiness is a by-product of struggle in a battle context, indifferent whether they win or lose. For others, it’s an absence of pain. For still others, it comes from making others happy. But in every case, it’s only a temporary thing. So a few settle for making as much as they can from their unhappiness, which also works, suo more. But I don’t mean to imply that “redemption” is just a matter of temperament. It must apply universally — or? Can’t speak for Bob, but as for me, Bill, a “quest for happiness” is not on my to-do list. I couldn’t care less about happiness, conceived of as a steady state to “pursue”. That pursuit is a profoundly misguided notion, pace Jefferson (reminder: I’m Canadian). I completely agree with you that happiness is a fleeting by-product of other things — work, love — an epiphenomenon that comes & goes in flashes. Pursuing an epiphenomenon is like chasing rainbows. No sustenance there. But, Bob, why do you feel such a need to be “fed” by Jesus, or by the gospels? What exactly is the food, and why do we need Jesus to provide it? I don’t knock happiness. The more the merrier, even though its pursuit can lead to strange results, unhappy ones in many cases. But we all want it. Aristotle called what we all want eudaimonia. So I have been trying to retro-translate happiness into eudaimonia, and to think about the Greek term in a literal, etymological sense. Socrates had his daimon — always telling him no, and yet he seemed to get into a positive relationship with it (eu-, a prefix for all things good). Was he “happy”? Dunno. But did he live a life worth living? Pretty clearly yes. His ability to imagine his good daimon helped. What would the analogy be in a modern skeptical, Christian or post-Christian setting? I don’t have a good answer to that, but it is not necessarily so far off or so hard to reach, provided we can get over our resistance to the idea of transcendence, even in a rather minimalist, quasi-materialist sense. We may not yet see what could be seen if we could perceive different kinds of energy. My hunch is that “transcendence” is the word we coin for our occasional recognition that we may not know it all. Synonym,”humility.” Could that be the first step toward eudaimonia? If so, how does such openness to the possibility of transcendence get nurtured, or “fed”? Whoa, slow down, Kemosabe. Tonto not sure what kind of transcendence you mean, or how any sort of transcendence could be synonymous with “humility”. “Openness” maybe, though that could require courage more than humility. Don’t we sometimes have the opposite impression — that those who would preach “transcendence” are far from humble — know-it-alls winking and hinting at something that they claim to sense “beyond” the Aristotelian concrete, feeding us from their emptiness after having chewed much more than they bit off — what Aristotle ultimately came to feel about Plato? Aristotle’s eudaimonia had an ethical base, you couldn’t have it without living a decent life. And so of course did Socrates’ daimonion. It knew how to tell him No. Isn’t there a consensus that Aristotle means something more like “flourishing”? Sure, you can catch the occasional breeze of happiness while flourishing, but that’s not the reason it’s desirable. For one thing, as Bill says, eudaimonia has more to do with virtuous action. 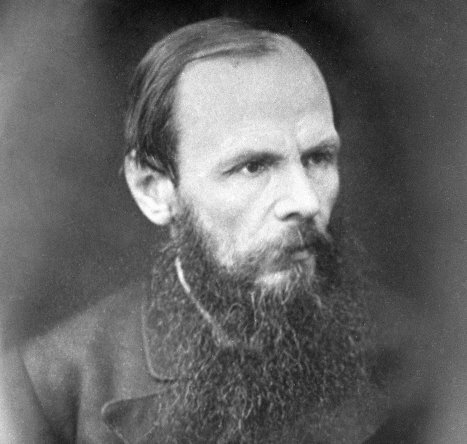 For another, Dostoevsky was certainly flourishing when he wrote Notes from Underground or Crime and Punishment. He was also spiritually tormented, afflicted with migraines, addicted to gambling and drowning in debt. Was he “happy”? I doubt it. And who cares?? I’d trade “happiness” for what he accomplished — and for the experience of accomplishing it — any day. Bob occasionally seems attracted to what he calls a “quasi-materialist” notion of transcendence as some form of energy that could in principle be discovered, apparently in the sense that, say, the Higgs boson has been discovered. It’s very popular in this age of triumphal scientism to suppose that consciousness, including its transcendent forms, can be accounted for within the bounds of materialism. This view is not limited to those who believe consciousness entirely explicable in terms of non-conscious brain activity. 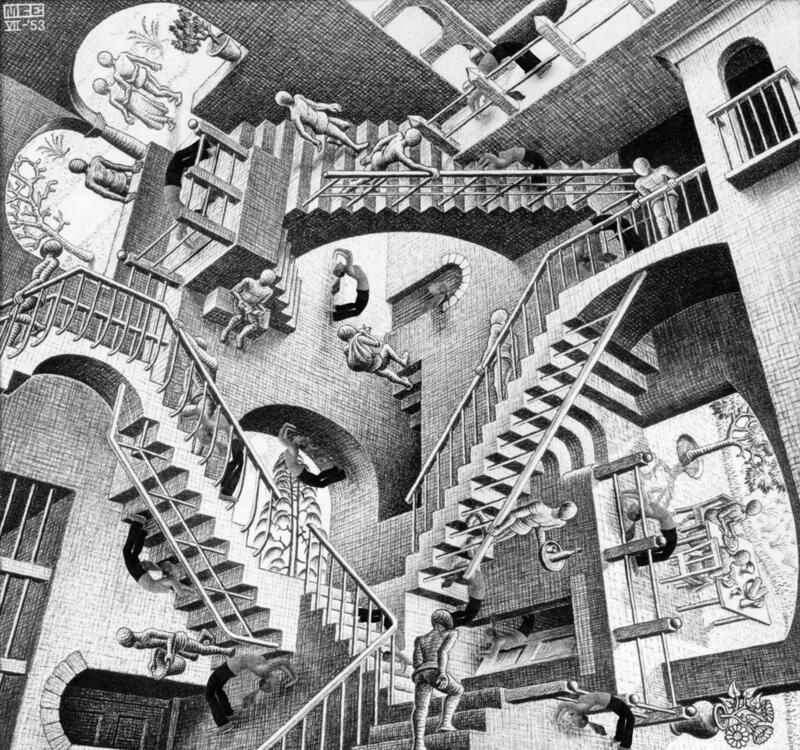 For example, Tom Nagel & many others are floating the notion that consciousness is some sort of fundamental attribute of all matter, from quarks to thermostats: even though science can’t yet plug the “explanatory gap” between physical mechanisms in the brain and what it feels like to be conscious, it will plug it someday once the pan-consciousness of matter itself is understood. Bob says “we may not yet see what could be seen if we could perceive different kinds of energy,” which may not be quite the same idea. But energy is a materialist concept, and I think this road is a dead-ender, or more precisely an infinite regress. If we ever did discover that matter is inherently conscious, thus “explaining” human consciousness, then human beings would still feel driven to believe that there’s something about our consciousness which transcends that with some even higher form of consciousness, one that science still can’t explain. The question who or what invests matter with its inherent consciousness would arise anew, and the split between those who think transcendental experience can be physically explained and those who don’t would remain. And so on, at level after level. Paradoxically, we seem to be utterly dependent on words to invoke the transcendent, i.e. what can’t be expressed in words — surely that’s what poets are after, what Jesus & the disciples were after in dreaming of a time (beyond theirs) when paroimiai would be left behind and full parrhesia would kick in. The need for logos will never be obliterated. That was there in the beginning, in human shape, both before (Philo) and after (John) incarnation, and it was God. But then there’s music, music that knows how to evoke tears and joy, music that transcends everything, without (or with) words. How do we account for that? Ah, maybe that’s where humility comes in! Except for Luke, there’s no music in the gospels. But there’s Wallace Stevens again — “The Idea of Order at Key West”: She sang beyond the genius of the sea … And when she sang, the sea, / Whatever self it had, became the self / That was her song, for she was the maker of the song she sang … If it was only the outer voice of sky / And cloud, of the sunken coral water-walled, / However clear, it would have been deep air, / The heaving speech of air, a summer sound / Repeated in a summer without end, / and sound alone. But it was more than that, / More even than her voice, and ours, among / The meaningless plungings of water and the wind … Oh! Blessed rage for order, pale Ramon, / The maker’s rage to order words of the sea, / Words of the fragrant portals, dimly-starred, / And of ourselves and of our origins, / In ghostlier demarcations, keener sounds. Yeah, I’ll have a double order of More Than That. Make it in ghostlier demarcations, keener sounds. And make it snappy, time’s a-wastin’. Bill’s right. I know, I know. I went rushing way ahead with that itsy-bitsy idea that happiness was eudaimonia which in turn was eu-daimonia, and that we could make that daimon, via synekdoche, into a form of transcendence. Aristotle would never put up with that, and probably not with the idea that transcendence might take on negative as well as positive forms, that at certain levels of negation we glimpse the limits of our understanding. So Humility plays peek-a-boo through the Big Nothingness. And maybe some harmony peeks through, too? Bill is right to steer us to music, I think. But when it comes to the Mr. No-Music-at-All award at the next Grammys, he has John and Matthew totally clobbered. Bach found music in them. Nobody ever found music in Aristotle. So Aristotle has to stay in the Lyceum, where we should all go regularly to pay our respects. But he can’t go to Key West and walk along the shore with that singer. I’m musically illiterate but I’d really like to be with her, because if we are in a universe where what we can see and what we can calculate is not the whole thing, then surely it’s music that gives the show away. 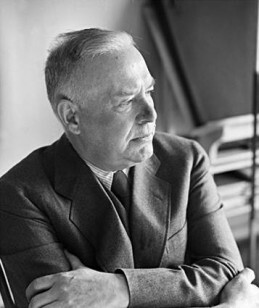 The poet Wallace Stevens is said to have been baptized a Catholic during his last days suffering from stomach cancer. This account is disputed, particularly by Stevens’s daughter Holly and critic Helen Vendler, who … thought Fr. Arthur Hanley was “forgetful” since “he was interviewed twenty years after Stevens’ death.” [Hanley’s interviewer] noted that Vendler ignored “the testimony of Dr. Edward Sennett (in charge of the Radiology Dept. at St. Francis Hospital when Stevens was admitted both times) and the Sisters with whom [the interviewer] talked in 1977 (and later) who believed Fr. Hanley’s account. The uncertainty is maddening, since Stevens’ whole poetic project was to replace God with the power of human imagination to invest a meaningless universe with meaning. A deathbed conversion would suggest that, in the bitter end, he felt the substitution to be inadequate. And he’d be quite the authority on the subject! Stevens’ philosophy, as far as I understand it, is that our imaginative and emotional projections are the only things that give meaning to the world, since in itself (there being no God) it’s a mere appalling nothingness. The best capsule summary of this idea is what I take to be his greatest poem, The Snow Man. The “Key West” poem blew my mind circa age 20 & made me a lifelong Stevens buff, even though I long ago decided that, for me, there’s something thin & ultimately empty about his religion of the imagination. “Key West” is also a classic text for Stevens as solipsist, my original — enthusiastic! — take on him (well, I was a hippy rock musician): Then we, / As we beheld her striding there alone, / Knew that there never was a world for her / Except the one she sang and, singing, made. You can see how one could get the impression … But the “philosophical” point is the same as in “Snow Man” — objective reality is out there, but it’s void of any significance, color, value — “the meaningless plungings of water and the wind” (Key West). The only meaning or beauty it has is what we project into it through “song”. A kind of poetic Kantianism. I find the same point in the “Final Soliloquy” we mentioned a while back (a very late poem, whereas “Snow Man” is relatively early) — human imagination lighting the dark — but here with an ambivalence that runs through much of his late work, a kind of undertow pulling him toward some notion of God after all. “God and the imagination are one”, he says in the “Final Soliloquy”, whereas I’m quite sure the poet of the “Snow Man” would say there is only imagination. Even more striking in the later poem: We feel the obscurity of an order, a whole, / A knowledge, that which arranged the rendezvous. Sounds more like Providence than imagination. At any rate, amazing stuff from the vice-president of the Hartford Accident and Indemnity Company. Touché, Rick! 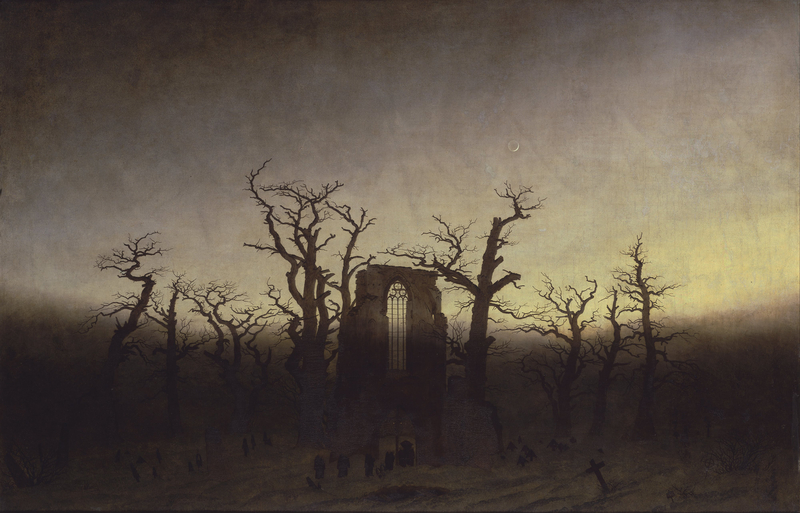 Insensitive me, it never crossed my mind that Stevens found an emptiness or an appalling nothingness out there that needed to be filled either with God or with his own imagination. I’ve always assumed that “nothingness” was simply a backdrop, a “white space” to provide contrast for his stunning perceptions of the real, that what he yearned for, and begged from the Muse (in the poem I quoted), was the ability to speak the unspeakable, the “beyond metaphor,” about that reality. When I imagine him on the veranda, martini in hand, during one of those perfunctory Hartford executive conferences, I always seem to see him staring off into the distance, devouring not the trees, but the color of the trees … I thought that, for a poet, he had a pretty full life, and find his deathbed conversion, if true, deeply embarrassing. Liver failure, of course, in the final stage of abdominal cancer (as I saw with my own parents), tends to manifest itself as dementia. I’m glad that Christopher Hitchens, at least, had no such relapse, but instead spent his final hour polishing another brilliant review. My interpretation of Stevens is pretty standard-issue, I think, or used to be. I remember my acute disorientation in my 20s, when I thought Stevens was a happy solipsist, on reading somewhere that in fact he thought the objective world does exist. Only, it’s a blank slate. The imagination projects meaning onto it — for example, to quote “The Snow Man”, we hear “misery in the sound of the wind”. You’d have to be “cold a long time”, that poem says (in other words, you’d have to be dead, or literally a snowman), not to hear misery in that sound, to see the world as it is in itself, with no human feeling to color it — to see “nothing that is not there, and the nothing that is.” Being alive, we can’t help projecting, but this is what replaces God, saving us from a meaningless world by … redeeming its nothingness! The locus classicus where he quite explicitly rejects the Christian God, affirming instead the imagination to be God’s replacement as meaning-maker, is the baroque “Sunday Morning”. “Snow Man” is more concise. I’m feeling, now, so many preconceptions dropping away, thanks to the tensions you’ve both brought to the text through your shared negative feelings about it. For me, it’s never been — in this gospel or in any New Testament text — a question of “liking” or “disliking” what’s there (with the rare exception of a passage or two). The payoff for me is the thrill of examining, especially together with two other pairs of inquisitive eyes, another ancient religious monument that still, at this late Hellenistic date, exhibits all the traits of the old bronze age routine — the dying and rising deity, the bloodshed, the collective guilt, the self-immolating savior-hero, the sacrificial banquet, the rewards and punishments of an afterlife, the organization of the community and its morality around a specific eschatological system, the sacred texts, myths, rituals, etc. If I wanted edification or guidance toward becoming a more decent human being, I’d be hard-pressed to find it in the New Testament; for that, give me someone like Epictetus any time. But Gary Pence’s comments (at the bottom of our Renegade Rebellion page) has cleared up a lot of my own questions and helped me to see more unity in the gospel; and, interestingly, the insights enabled by his comments have been extra-textual insights: new clarity has come not out of the text itself (we’d have floundered there forever, I fear, or left it in the lurch), but out of a few simple historical facts that go a long way toward explaining what this gospel is, why it’s there, and why we should read it. Of equal “extra-textual” weight, of course, is the ancient tradition, already current in the second century, that John was written to combat a Gnostic heresy (Cerinthianism) that differentiated “Jesus” from “the Anointed One (Christ)” and insisted on strict adherence to Mosaic law. I feel we haven’t quite got our hands around this guy (even though we sometimes tried to get them around his neck so we could wring it). I don’t feel any sense of closure in our work, the way I did with Mark. Not that we had some grand consensus, but we knew what the issues were. With John I just feel incomprehension. That’s disorienting for me since the Episcopal lectionary for Good Friday, Easter and Pentecost uses John for the gospel readings. Odd move, given our Johannine nightmares, like the long, self-aggrandizing monologues that we’ve found so difficult to swallow. Maybe it does, however, help to set John in a post-Resurrection, pre-Pentecost, proto-Christian context, before the surviving faithful started to feel confident that they had a real message to share. Not that the text must have been written down that early, but that the message behind it was shaped by the needs of a community. I keep thinking I’ll find in it more evidence about the historical Jesus, and feel frustrated when I realize that’s not what John’s about at all.